Postcards are great. The colourful picture on the front can surprise, inform, and inspire. The stamp on the back can form part of a collection. There is just enough room to write a few well-chosen sentences. Messages are short and focused. The beginnings and endings are formulaic. Indeed, the skills you learn from postcard writing are applicable to other forms of personal correspondence. For example, you always start with “dear” and end with “love,” as with a personal email or a letter. (Do people still write letters?) 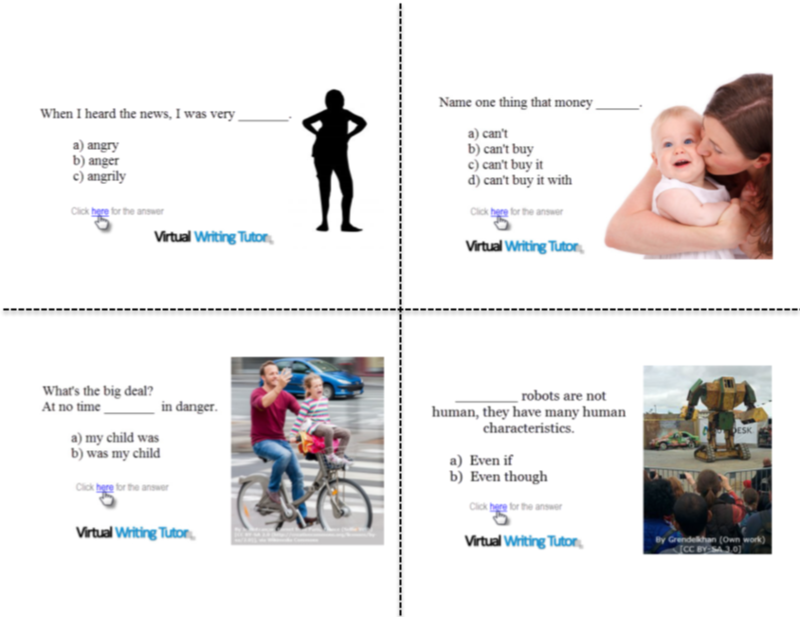 Without a doubt, postcard writing is a great activity for beginner English language learners. Correspondence writing projects with multiple pen pals provide an excellent opportunity for a repeated exchange of meaningful messages with a focus on target structures. 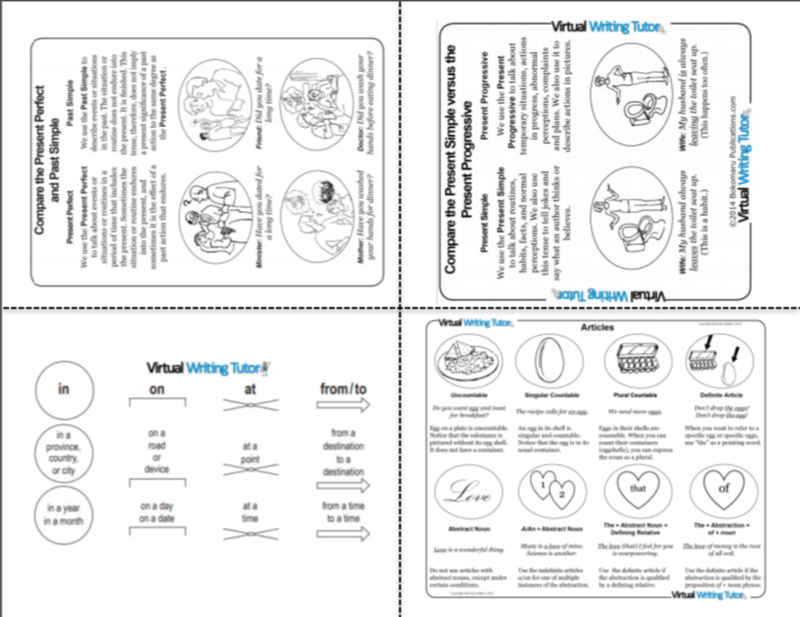 In other words, postcard writing for second language learners allows teachers to get students to engage in communicative writing, repeatedly writing meaningful messages on everyday topics that students find motivating. Apart from being a joy to send and receive, a postcard exchange is clearly a pedagogically sound way to practice English. 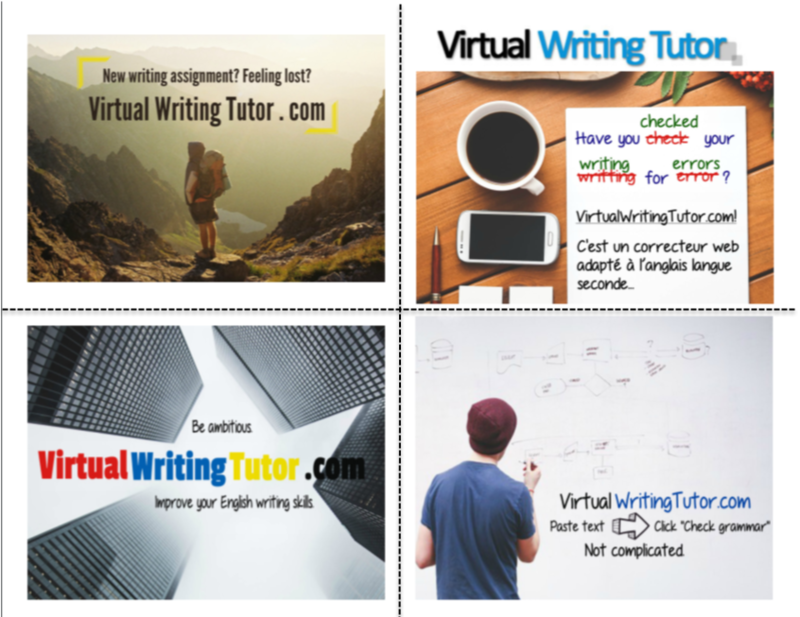 For online postcard writing, use the Virtual Writing Tutor’s online pen pal exchange system. It allows teachers to create a virtual postcard exchange project between classes. You can even get students to exchange messages with students taught by another teacher on the other side of the world. But sometimes, offline is better. But postcards cost money. As you know, the ones at gift shops can be expensive. If you can’t afford the fancy gift shop versions, you can always make your own. 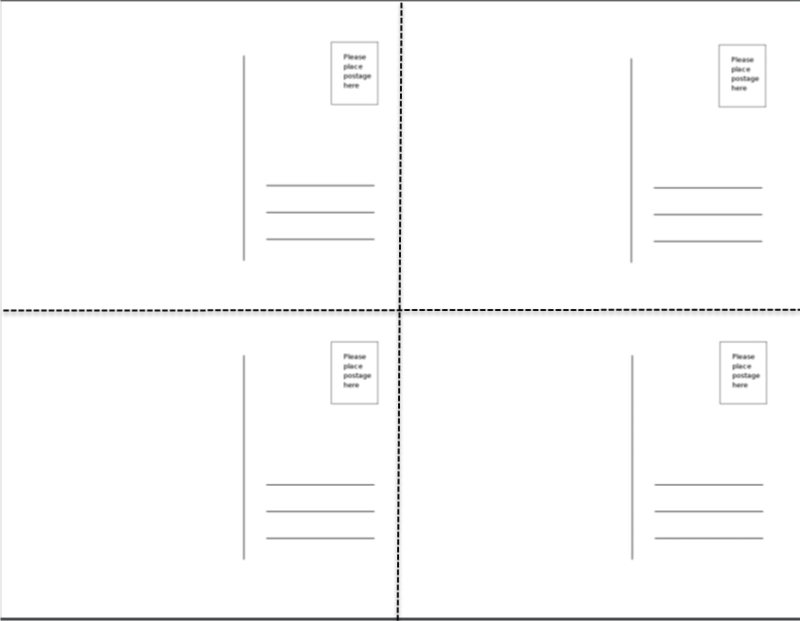 Using MS Word, make a table with four squares. Then, fill the table with photos. Use scissors to trim off the edges and cut up the sheet into four postcards. But designing postcards takes time. Downloading these VWT postcards is a lot faster. They are ready in a jiffy. Enjoy! A sturdier alternative to plain paper is to buy blank perforated card stock and run them through your colour printer. I have ordered the Avery brand of blank postcards myself. And I can attest to that they were both affordable and well-suited for international exchange writing tasks. They are perforated to separate easily into four cards. Excellent! 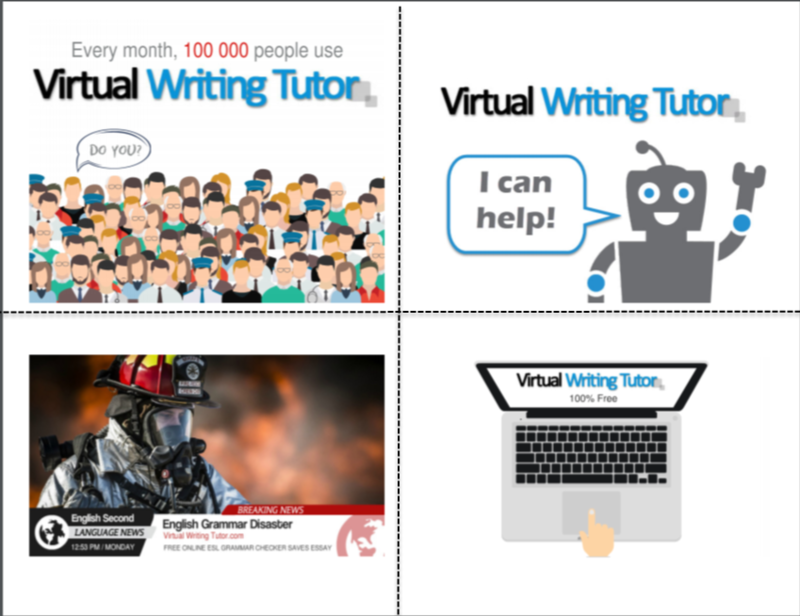 Even faster that printing postcards is to use the pen pal exchange system on the VirtualWritingTutor.com grammar checker website. I created it to automate error correction and target structure detection while students exchanged meaningful messages. As such, online pen pal exchanges seem to me an ideal method of focusing on Basic Interpersonal Communication Skills. 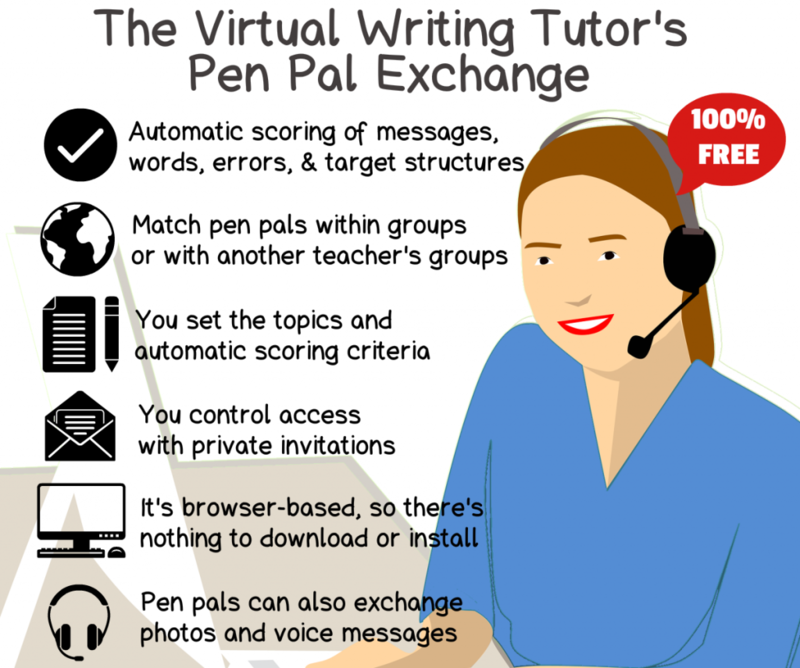 In other words, online pen pal writing is great way to incorporate writing tasks in ESL without having to resort to the quasi-academic 5-paragraph persuasive essay every time. If you are not ready to do a pen pal exchange, that’s okay. Perhaps you are looking for other ways to boost the effectiveness of your language teaching. If so, check out my 10 mind-blowing research findings to supercharge your teaching.